May 1st, 2006 -- (from the photographer:) 6pm. 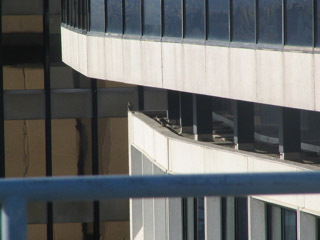 Both falcons are on the west ledge of the Crowne Plaza Hotel at the north end. Connor is on the corner and his mate is closer to me.